2018 was a whirlwind of growth for Pixus, both creative-wise and on the business side of things. As 2019 takes off, we’re looking back at our favorite projects to come through the Pixus workshop in 2018 and what we loved about them. These clients are time-tested local brands that we’re proud to have served – and hope to continue to grow within 2019. Here are our picks for best of the year. To say our team was excited to take on Krispy Krunchy Chicken as a client is an understatement – who doesn’t love fried chicken? 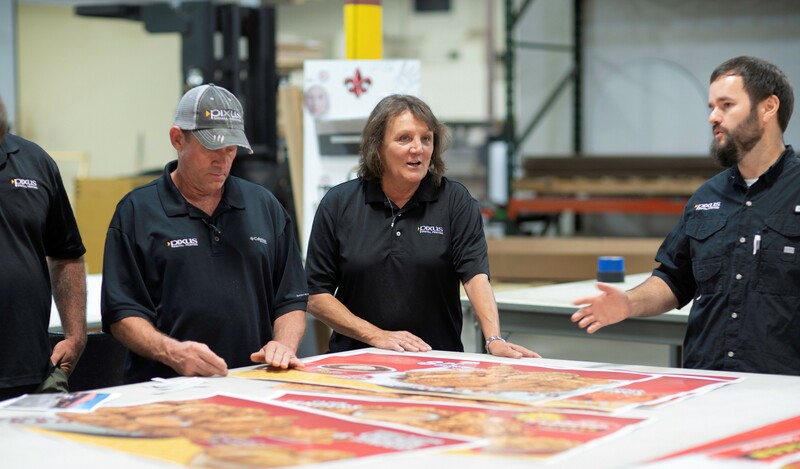 As devoted customers to KK ourselves, the team was able to create a comprehensive print advertising strategy and a full suite of effective printed products for Krispy Krunchy locations that included banners, posters and outdoor adhesive vinyl signage. 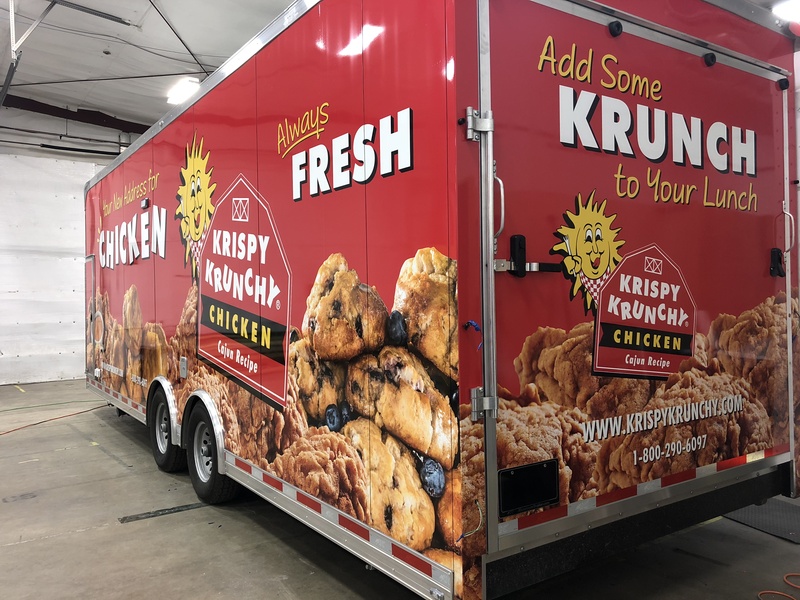 What really put the icing on the cake—or crunchy on the chicken, in this case—was the fleet of Krispy Krunchy trucks and vehicles we had the privilege of wrapping, and we love seeing them around town daily. 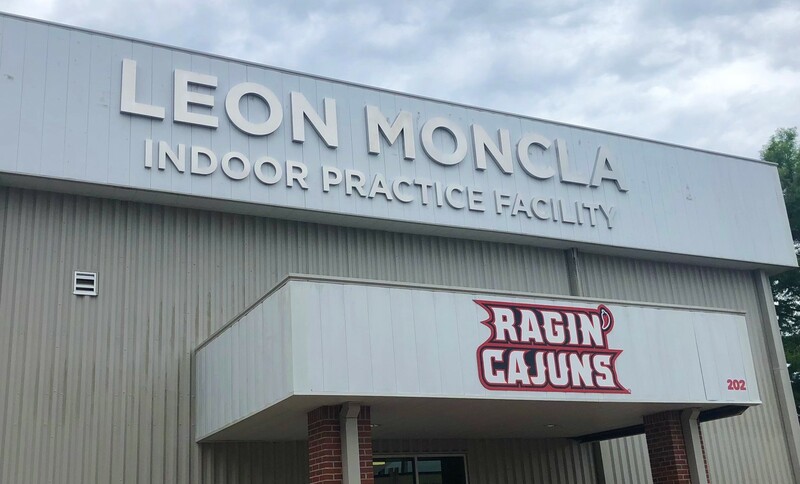 The heart of Lafayette is our University, which is why we were so honored to have been asked to complete a myriad of signage solutions for the newly-completed University of Louisiana at Lafayette athletic complex. 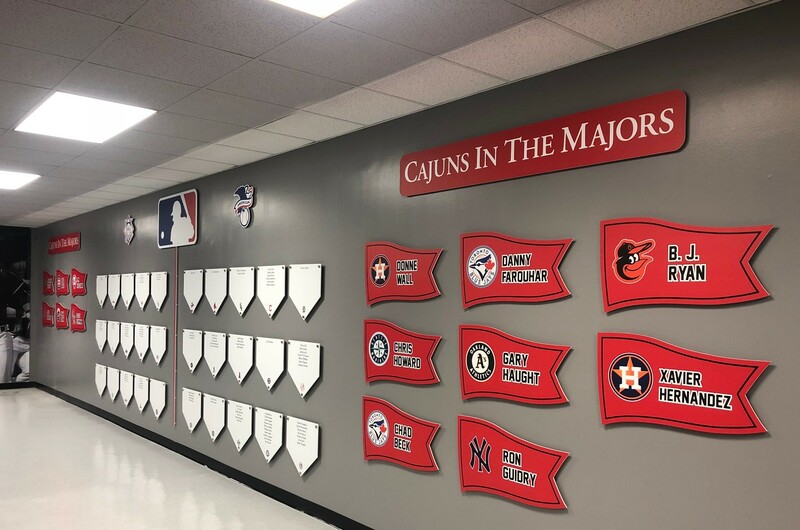 Alumni and fans alike, our team had a lot of fun with this one: locker rooms were decked out in vinyl decals and custom wall signage; fence banners were installed along Cajundome Blvd; entrances got new outdoor signs; and we even got to bring a hall of fame, dedicated to UL players who went on to play in the majors, to life—Geaux Cajuns! 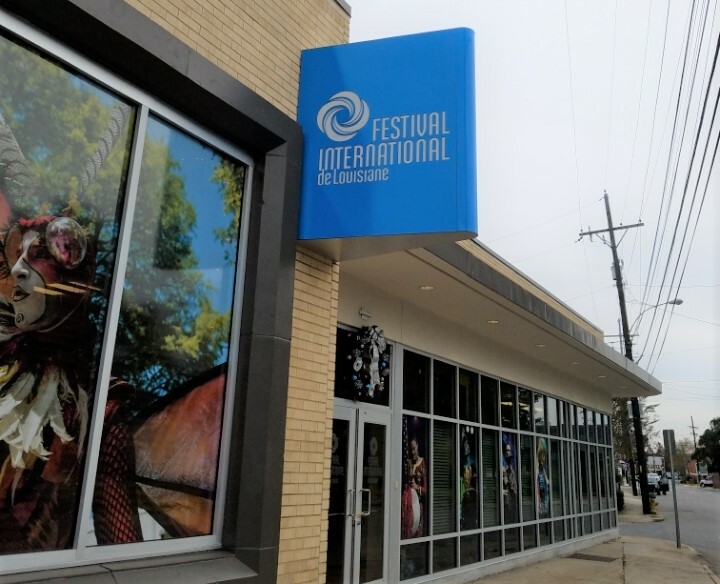 Festival International is near and dear to all of our hearts, so we were thrilled to give the exterior of the Festival office some flair. 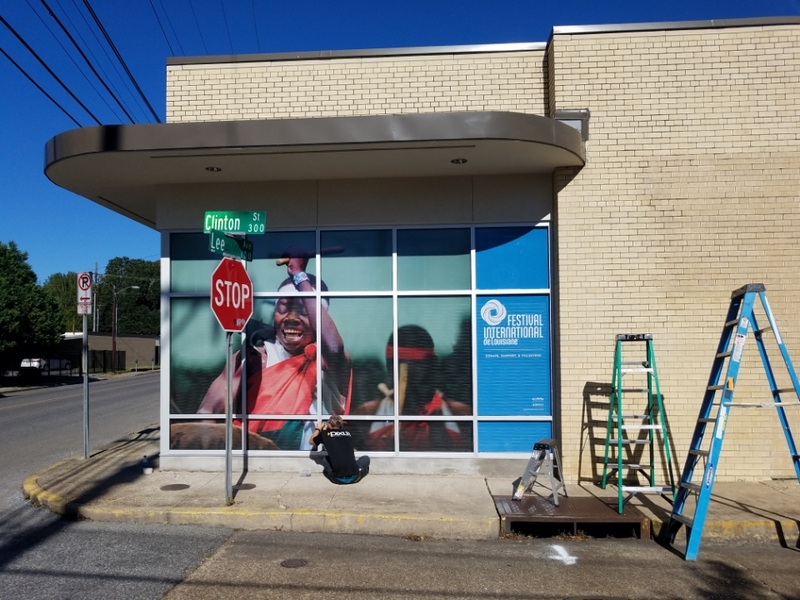 The downtown location is characterized by its window-lined walls, so we went all out and produced a series of gorgeous, colorful photos of performers printed on huge sheets of adhesive vinyl. Our team then meticulously installed the graphics and ensured they’ll be there for the long haul. 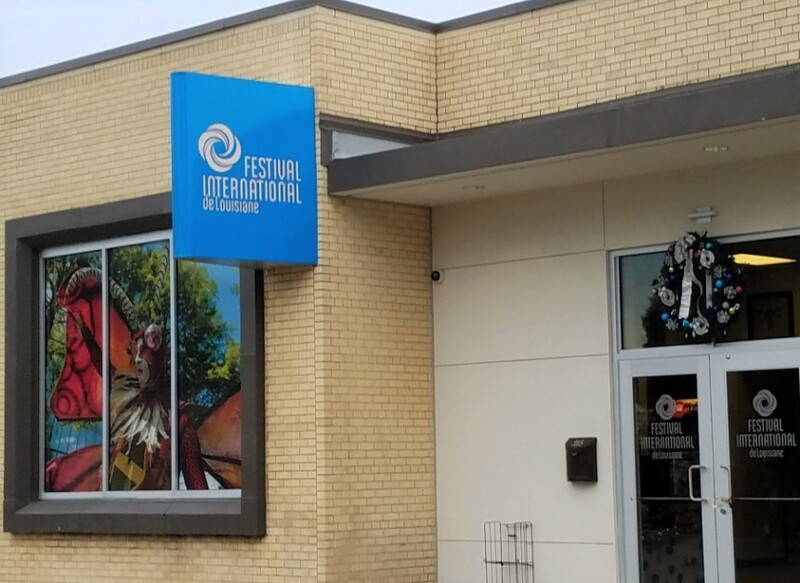 The bright window graphics now bring a pop of color to the street and match the color-changing sign out front. We couldn’t be more happy with the result.